1 fl oz bottle of lavender elixir. I made this elixir with lavender flower buds, 100 proof alcohol, and raw honey. 40 drops is a good serving. Eat it plain or in 2 fl oz water. I make these elixirs in small batches. The lavender I used in this elixir is organic. 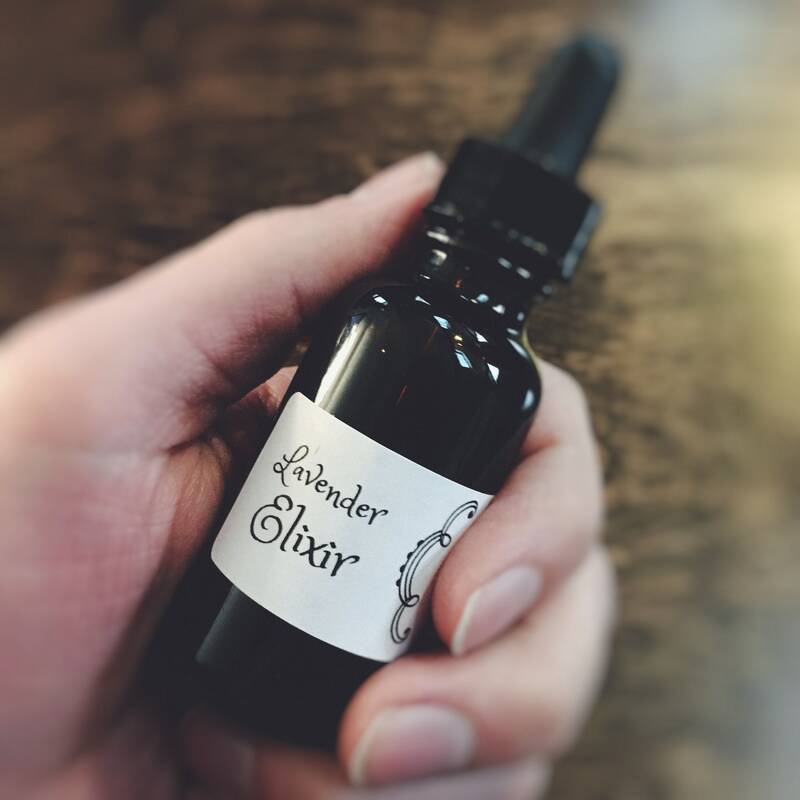 Elixirs are also known as extracts and tinctures. Store extracts away from heat and sunlight. It's recommend to consult with your doctor before using herbal products. Don't use herbal products if you're pregnant or breastfeeding. Lavender is bitter, great before meals and calming great before bed.